printed with non-fade Indian Ink onto tough calico. the roll is genuine, not a reproduction. 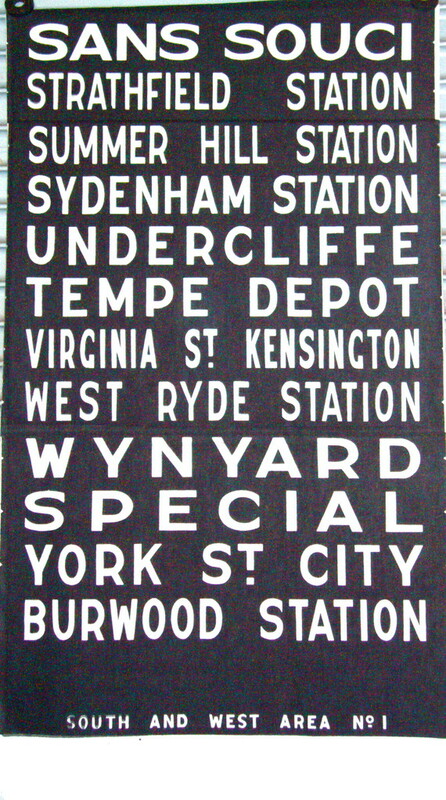 Approximately 15 metres long, containing all routes operated by buses from Willoughby depot in Northern Sydney, from 2001 until electronic displays began to be used. Very good condition, no tearing, some minor creasing where a fold has occurred. material Mylar a trade name for (BoPET (biaxially-oriented polyethylene terephthalate) incredibly tough, transparent, hear -resisting. Due to its enormous length, not all destos on the roll are fully clear, but you get then idea. Contact the shop if you would like to ensure that a name you want is included. 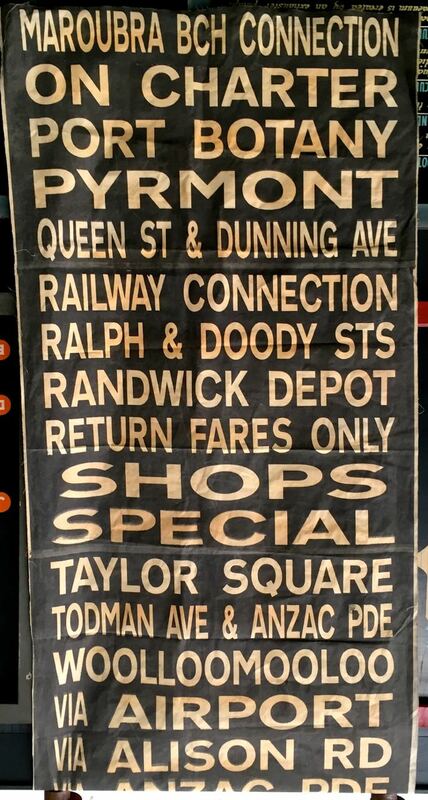 Genuine, and original calico destination roll from a Sydney bus of the 1970s. 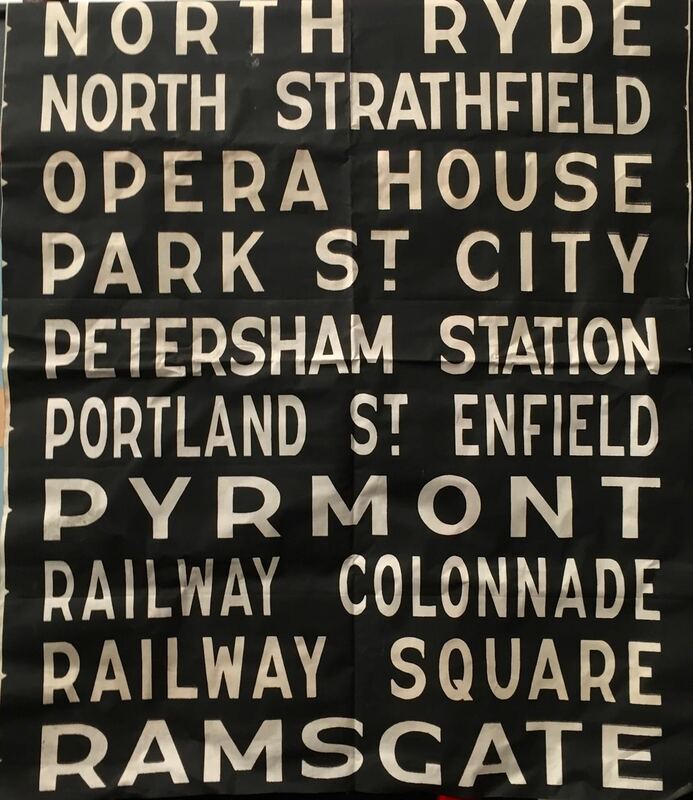 names are printed using indian ink, except where the letters are, so that they show up brightly if illuminated from behind. 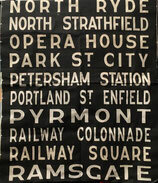 This supplementary roll is from a bus used on 'special workings' i.e. 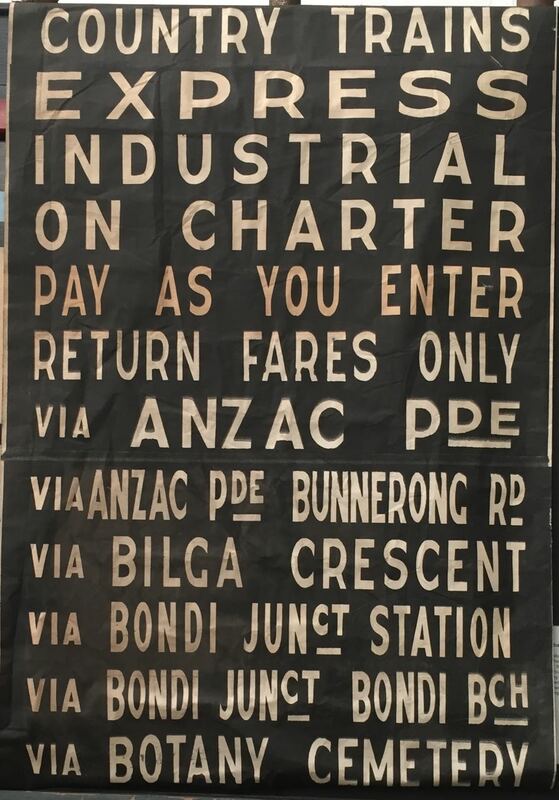 at times when the Easter Show or Randwick races were on. Length about 3 feet 6 inches, width 33 inches. Note as these rolls are many years old, not all are in the same condition. some examples may have mild discolouration or fading. All are intact and undamaged. 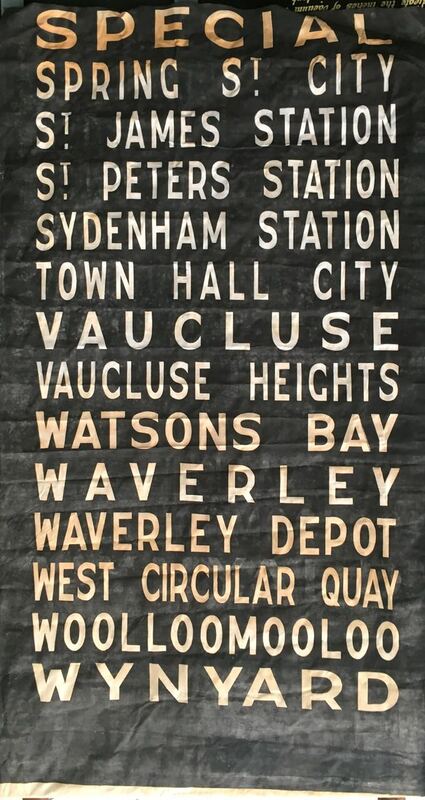 Genuine, and original calico destination roll from a Sydney bus of the 1960s - 1970s. 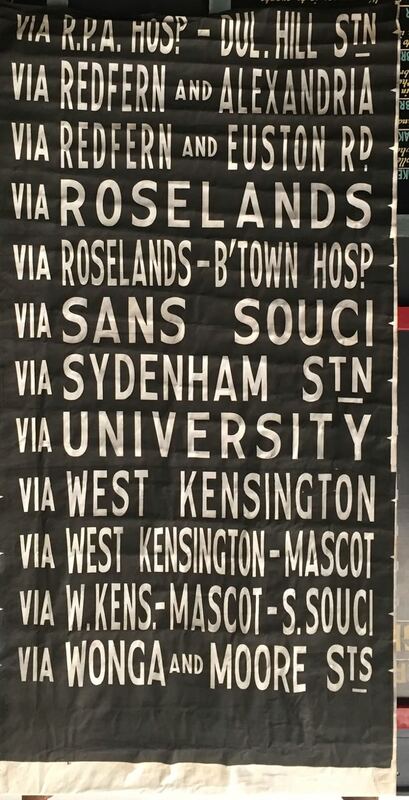 This supplementary roll is from a bus used on 'special workings' i.e. 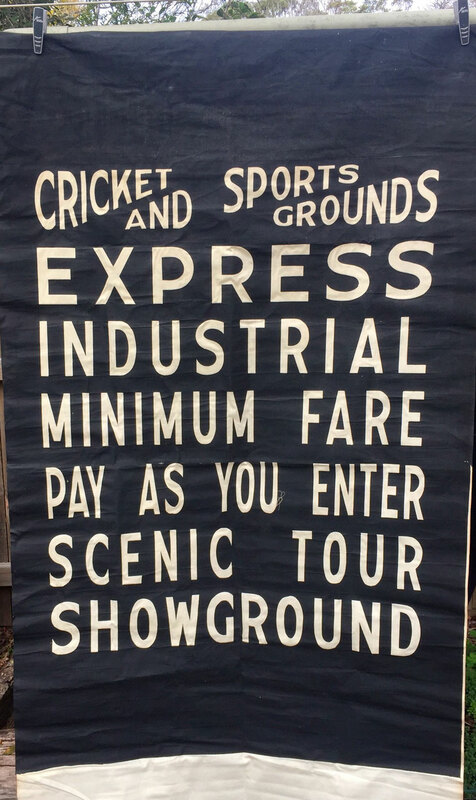 at times when a football game or the Easter Show or Randwick races were on. Length about 4 feet, width 33 inches.